A 1998 Mercedes-Benz AMG CLK GTR and 1957 Porsche 550A will be on offer at the RM Sotheby’s Monterey 2018 classic car auction. 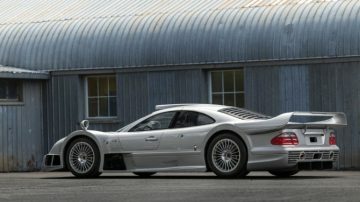 A rare 1998 Mercedes-Benz AMG CLK GTR, estimate $4,250,000 – $5,250,000, and a 1957 Porsche 550A, estimate $4,600,000 – $5,000,000, are the top German cars on offer at the RM Sotheby’s Monterey 2018 sale. The AMG CLK GTR is street-legal and capable of 0-100 mph in a little over six seconds and has a top speed of 214 mph – certainly not one of the shy or timid. 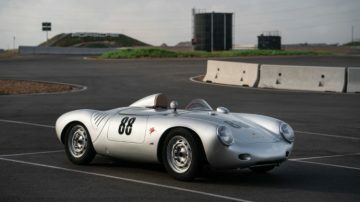 The Porsche 550A was known as a giant killer with the car on offer having an in-period and historic racing record. 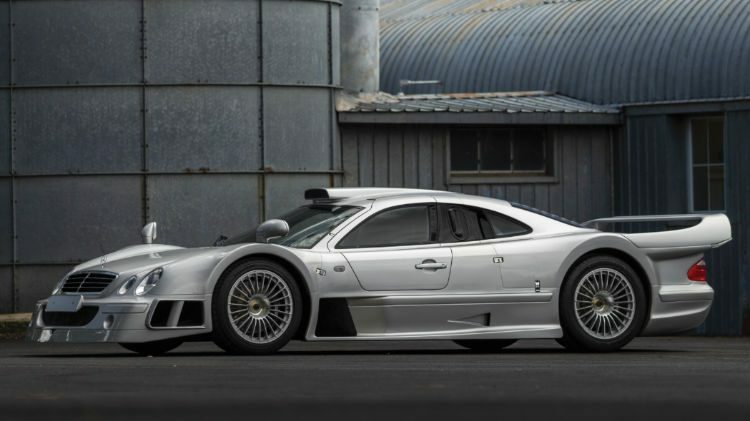 An incredibly rare 1998 Mercedes-Benz AMG CLK GTR, serial no. 09/25, (Est. 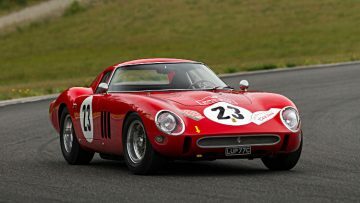 $4,250,000 – $5,250,000) will be one of the 150 motor cars set for RM Sotheby’s 2018 Monterey sale, of which no less than 35 carry individual pre-sale estimates exceeding $1 million. This car, serial no. 09/25, is the last of the true hypercar-race cars, with performance that rivals the latest and greatest offerings from the world’s top manufacturers. The ninth of just 25 examples built (of which 20 were coupes), this CLK GTR has led a charmed life, having had just three owners and showing shows less than 1,500 original km since new. Fastidiously maintained, the car has been recently imported to the U.S. under the Show or Display exemption and federalized for all 50 states. 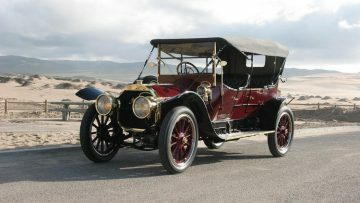 It is believed that of the original 25, less than six cars are federally legal within the United States, with this being one. Offered in as-new condition, the turn-key example is ready for its next stage in greatness. Perhaps no other modern Mercedes more closely embodies the heritage of the Star and Laurel’s spirit of racing, engineering and competition; a near impossible feat to surpass since the advent of the famed 300 SL Gullwing (Est. 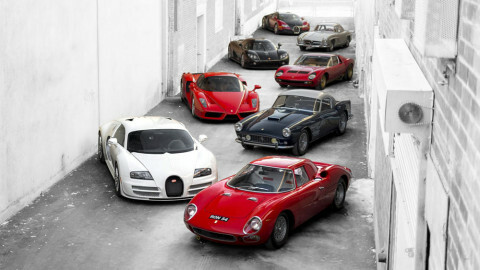 $4,250,000 – $5,250,000). RM Sotheby’s is also partnering with Mercedes-AMG to offer a never-raced 2017 Mercedes-AMG GT3 ‘Laureus’ in Monterey, chassis no. GT3 190-17 050, with proceeds to benefit the Laureus Sport for Good Foundation. Active in over 40 countries with support from numerous athletes on over 100 projects, the foundation aims to use the power of sports to support disadvantaged children worldwide. 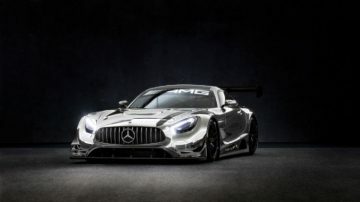 A one-off example of a proven victor in Mercedes-AMG’s GT racing efforts, this GT3 boasts special chrome paintwork, a performance exhaust system lacking mufflers, and exposed carbon fiber parts inside and out. Offering exceptional levels of performance and perhaps the most attractive bodywork on today’s GT3 grid, this Mercedes-AMG represents a wonderful opportunity to support a worthy cause (Est. $400,000 – $600,000, offered without reserve). A hugely significant piece of Porsche’s American racing history, RM Sotheby’s has added a 1957 Porsche 550A Spyder, chassis no. 550A-0116, $4,600,000 – $5,000,000, to the Monterey lineup. 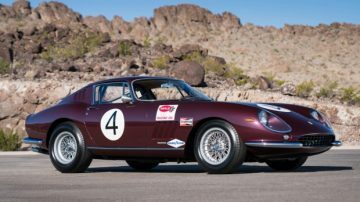 By 1957, the 550 model had already found an eager customer base in North America, and chassis 0116 was delivered new to Jack McAfee of Burbank, California, who raced the car extensively on the West Coast in period. Driven and owned by some of the leading West Coast personalities through the 1990s, the 550A was subsequently comprehensively restored by marque experts in Germany. A class winner at the 2014 Amelia Island Concours d’Elegance under current ownership, the extensively documented and coveted Porsche remains highly eligible for vintage racing and international concours. A similar 1958 Porsche 550A Spyder is on offer at Mecum during Monterey 2018 while a 1957 Porsche 550A is also available in a private sale. 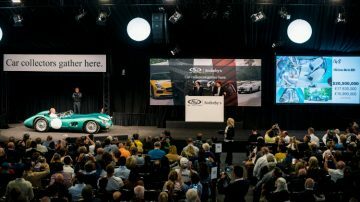 The model record was set at $5,170,000 at the Bonhams Scottsdale 2018 sale.